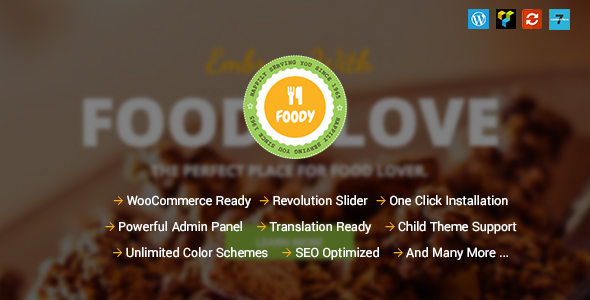 Foody is a Clean Responsive One Page Restaurant HTML5 Template designed with Bootstrap. 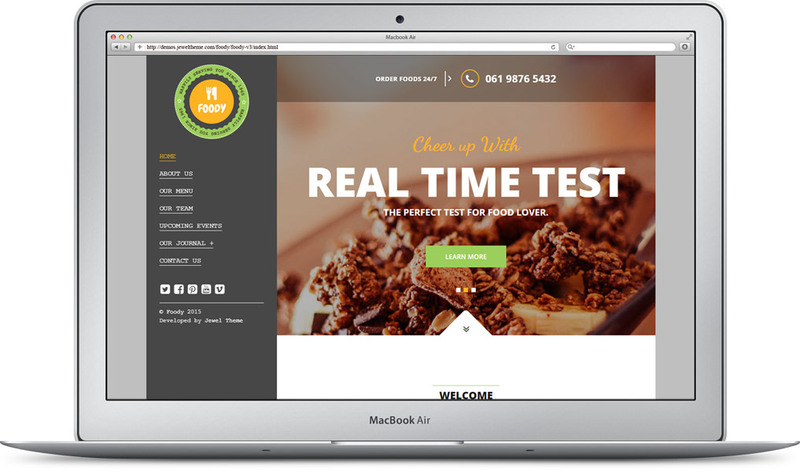 Foody is suitable for Restaurants, Café, Bakery, Catering, Chef, Cooking and Bars websites. 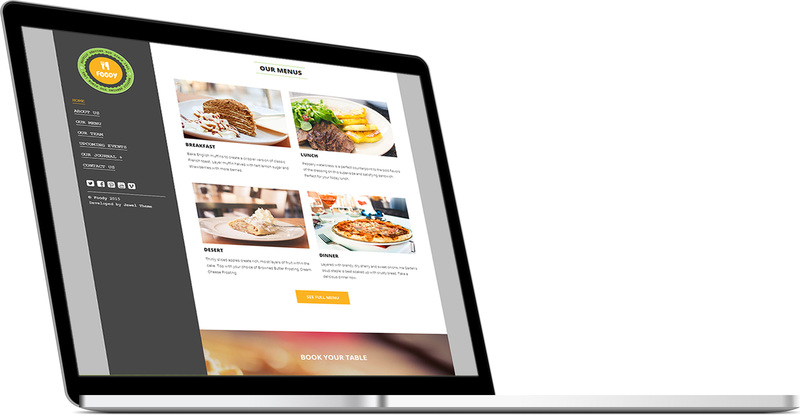 If you are a owner of small Restaurants, Café and bar you can choose Foody for your Website. We have added all most important section for any Restaurant. You will also get 4 variation style of Foody. Foody completely designed with latest trends of Web Design and Technology. 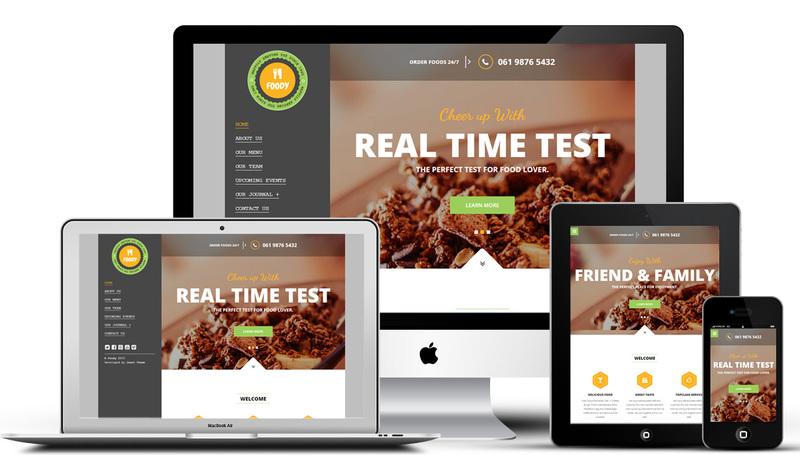 Foody is a Responsive Restaurant Template. This Template will automatically resize with the device. We have added a awesme slider into header section. This slider will focus all the imporatant factor of your business and service. Visitor can easily find out their necessary things within a short time. Anyone can book your restaurant now. Customize this development section and make it easy for you. 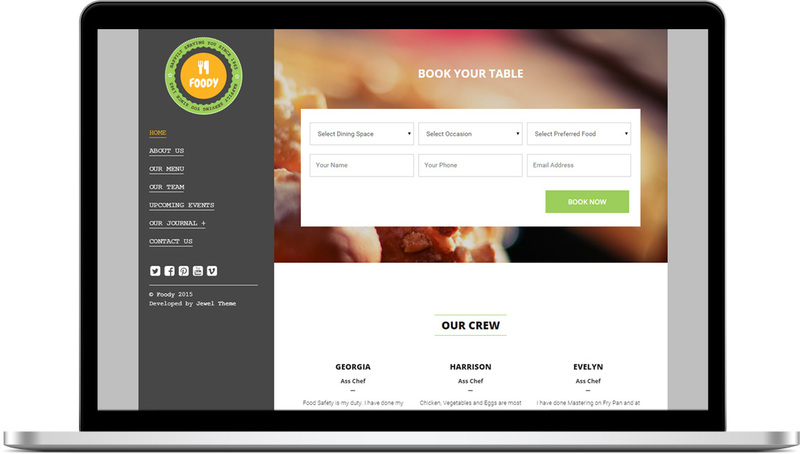 You customer feels more comfortable when they can book their table via your website. We have added a special section for Restaurant and it’s called “Menus Section”. Present your all Food Item within this section.